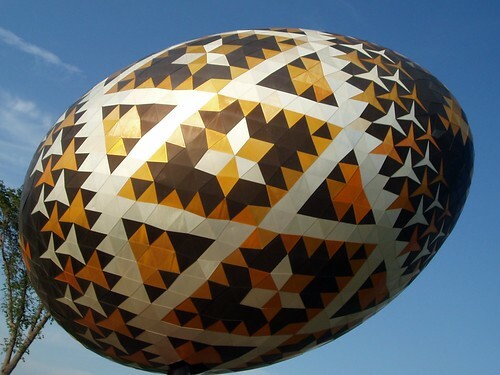 A few months ago I had made a post about "World's Largest Easter Egg" which in reality is a unique museum building in the city of Kolomyia, Ukraine shaped like a giant pysanka (Ukrainian Easter egg). 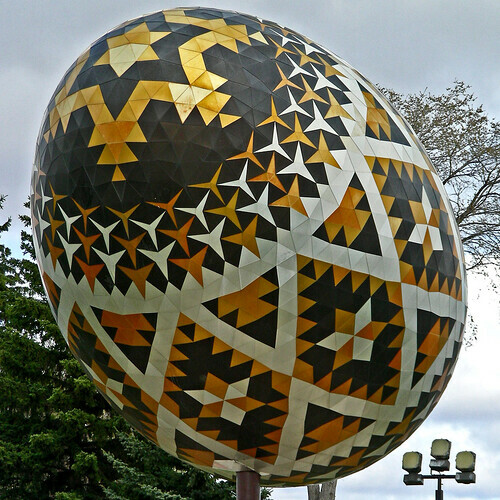 Today I present a giant Easter egg, built exactly like a Ukrainian pysanka. In fact it used to be World's largest Easter egg till completion of the above referred museum building. 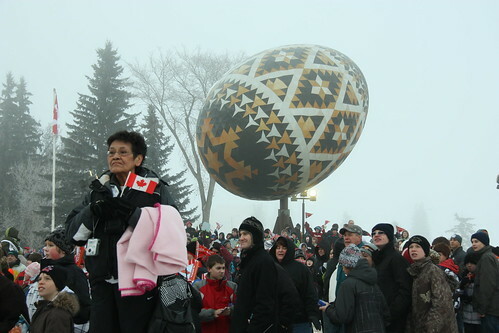 The giant egg is located in Vegreville, Alberta, Canada and was commissioned for the 1975 centennial of the Royal Canadian Mounted Police. Vegreville has a high population of Ukrainian settlers and the town authorities decided to build the memorial in a shape which represented ethnic Ukrainian heritage. The giant egg is 5.58 metres (18.3 feet) long, 7.8 meters (25.7 feet) wide, three and a half stories - 9.63 metres (31.6 feet) high and weighs 2.5 tonnes. The whole design of making such an intricate egg using small aluminium pieces was carried out by Ron Resch, the then Professor of Computer Science at the University of Utah, who solved the problem mathematically using computer. Made of aluminium frame it has 1108 congruent equilateral triangular, 524 concave 3-pointed stars tiles and 3,512 visible facets. The pysanka leans at a 30º relative to the base and turns with the wind like a weather vane, which also protects it from high wind force. 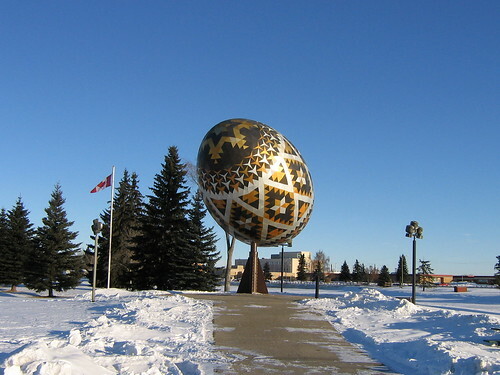 The egg is one of the main tourist attractions along the Yellowhead Highway which passes through the town and thousands of tourists visit it yearly.